Rene Gutteridge is the award-winning and best-selling author of twenty novels, including the beloved Boo Series and Heart of the Country, her novelization release with director John Ward and Tyndale House Publishers. Her recent suspense titles include Listen, Possession and the award-winning Seven Hours project Escapement. 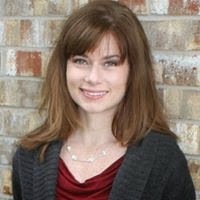 She's been published by Bethany House, Tyndale House, WaterBrook Press, Thomas Nelson and B&H and novelized the successful motion picture The Ultimate Gift. She has teamed again with screenwriter Cheryl McKay for the romantic comedy Greetings from the Flipside from B&H and is releasing her new suspense title, Misery Loves Company from Tyndale in 2013. Her romantic comedy with Cheryl McKay, Never the Bride, won the 2010 Carol Award for Best Women’s Fiction. Her upcoming literary projects include the novelization of the motion picture Old Fashioned with Tyndale House Publishers and filmmaker Rik Swartzwelder. Her movie SKID, a comedy, is due out next year. Pretty much my whole life. Before I could write I was always telling a story somehow, either with Barbies or Matchbox cars or whatever. Very early on I took an interest in movies and reading too. I do write full time now. Before that I worked in ministry for many years. I was the Director of Drama at our church, so that was incredibly fun and taught me invaluable lessons about writing. I would write two different skits a week and I could immediately assess how I was doing by audience reaction. I’m so fortunate to have had that experience. My first job was at The Gap. It was ridiculous because I spent every dime I made on the clothes there, so I realized I shouldn’t be working in retail at the age of 15. There have been so many. And I think writers (at least this writer) need to constantly be reminded we are writers, just for our own sanity because it is such a challenging occupation to the soul and the self-esteem. I remember getting a name tag that said, “Rene Gutteridge, author.” That was cool. I remember the first time I went to ICRS. My editor was walking me down for my book signing and I saw this long line wrapped around the hallway and I said to her, “Oh, Jerry Jenkins must still be signing,” because I knew he was before me. And she said, “Rene, that’s for you!” I was stunned. Recently I had a prominent trade magazine start off a review that said, “Veteran novelist Rene Gutteridge…” And it just floored me. I had re-read it. I had to remind myself that twenty books have gone by. But I can still distinctly remember that first one like it was yesterday. And I think there is always a part of my heart that will feel like a novice. Definitely my husband. He’s seen the highs and lows and every time I think that maybe I shouldn’t do this or I lose faith in myself, he is always there to pick me up and encourage me. I actually have many family and friends who support me so I feel very fortunate in that regard. I do. I am a multi-genre writer, so I also write comedy, romantic comedy and contemporary drama. I also have done a number of novelizations, which are books based on movies. And I’m a screenwriter. I come to every book with a Christian worldview, so that is always engrained into every story, but it is always a challenge to weave the simplicity and complexity of the Christian faith into a novel. For me, it requires asking the hard question. It requires not having all the answers. It requires me to have faith in the process of storytelling, and I have great faith in it. I think of stories as these living, breathing things that take us by the hand and help us through our lives in big and small ways. I’m amazed at all the various letters I get from readers and all the different ways one story touches them. I’m amazed by how a story meets a soul and together they do this sort of dance and then leave each other. It has always fascinated me. I’d probably be involved in filmmaking in some way. I also love to paint and draw, but doubt I could make a living at it. I love photography too. I’m not sure what I would do, but I think I would be able to find something that’s meaningful to me. Misery Loves Company is about a disgruntled author who kidnaps his number one fan. It’s a spin on Stephen King’s Misery, which is one of my all time favorite books. There’s of course a twist and many, many turns as well. I loved spending every moment with these characters. They were endlessly interesting to be with. Definitely from King’s book, but also I wanted to explore with these characters a journey to a God that is hard to understand at times, a God that allows suffering and immeasurable grief. These two characters come together and must dive deep to understand how to go on after loss. Well, that is the thing that is mysterious about novels—everyone comes away with something different, so I hope that this story, these characters, will plant themselves deep into readers’ hearts and minds and that they’ll allow them to stay awhile. I’m very partial to Patrick Reagan, the bestselling novelist who is either a psychopath or a savior. I don’t dislike any of them. They serve their purpose for me so I can’t blame them for being stupid/evil/worthless. I made them do it, after all. I’m currently working on a new novelization called Just 18 Summers. I have another one called Old Fashioned that will be out next year too. I’m working on a new comedy with my rom-com writing partner, screenwriter Cheryl McKay. And also crafting a new suspense idea that I’m very excited about! I actually achieved a really big one this year. I wrote a screenplay that was produced and is now in post-production. It’s a small indie film called SKID, based on one of my novels, but I’m really excited about it and it was a dream come true. From the beginning, I set out to be a screenwriter and then life happened and novels happened and that’s what I’ve been doing for fifteen years. But screenplays will always be a vital part of my dreams and goals. I am oddly not a bucket list-maker. All the really cool experiences I’ve had I don’t think I would’ve dared to even dream about. I guess I have a few things I want to do. I’d like to spend a few weeks on the east coast, exploring all of New England. And maybe, if I’m being honest, write a TV disaster movie. I love those things. I’m a closet disaster movie watcher. They can get awfully cheesy, but I’m pretty sure I’d know what to do when the 10.9 earthquake hits. On purpose? Probably nothing on purpose. I’m awfully silly by accident though. I do weird things like forget to put the mug under the Keurig before I hit the glowing blue button. My mind is usually going a thousand different directions and less than half of those are in rooted in reality, so my life gets pretty silly pretty often. I think recently it was making this movie SKID. Wow. It was grueling, from sun up to sun down. It was high stress and every day there was at least one major problem to solve. But the adrenaline of making the movie kept me going. It was one of the highlights of my life. Getting my first book published was hard too. You just need that one person to believe in you, and it finally happened, but for awhile, when you’re toting your books and ideas around, you’re pretty sure you stink to high heaven. 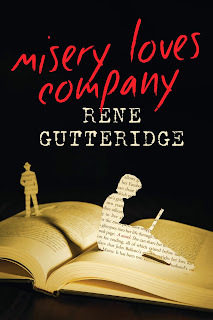 Leave a comment for a chance to win a copy of Rene's book, MISERY LOVES COMPANY! Such a good interview. This sounds like a great book. Good morning Rene. Hope all is well with you. Would love to win your book. What a great interview! Congratulations, Rene, on your indie film. Such a wonderful writing goal to achieve! 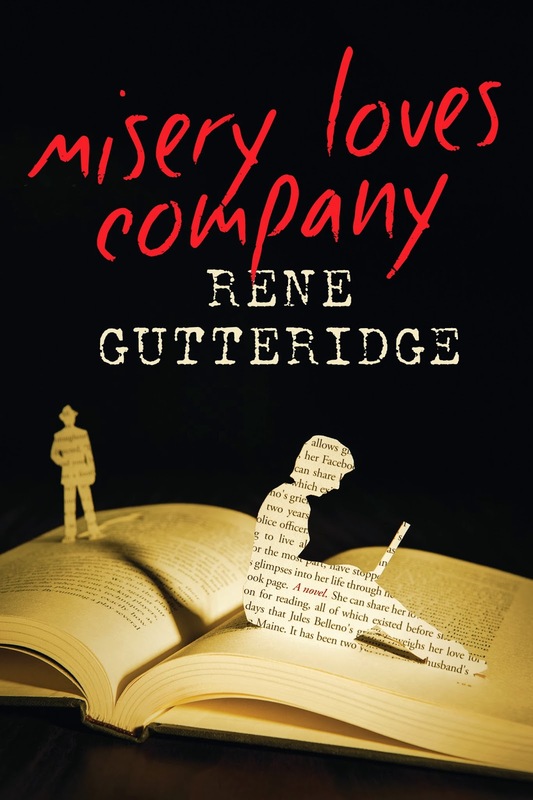 I am intrigued by MISERY LOVES COMPANY and would love to win a copy! Thank you for the opportunity. Don't enter me....just read it and loved it! I've read most all of Rene's books and thoroughly enjoyed them! What a great interview! "Misery loves company" is a term I have used quite often over the years so I am naturally curious about this book. Keeping my fingers crossed! Looking forward to reading Rene's latest. I liked the interview with Renee about her book. I find the subject matter about trusting God in difficult situations make a good story line. I will look forward to reading her book Thank you. I have read the Boo series and shared those with my daughter. I did not realize she had written so many books! Misery loves company sounds really good and I would love to read it. Thanks for this interview and introducing me to more books. I love Rene's books. She is so funny. Thanks for the giveaway! Hey everyone! Thanks for the enthusiastic comments. Can't wait to see who wins! I can't wait to read Misery Loves Company. I recently watched Misery on TV. I really look forward to seeing how you managed to rewrite that book by having the author kidnap the fan. I like that you have the characters struggling with their faith in God. Great interview...would really like to win this book; thank you!